Hi! I’m Becca, Company B’s newest intern. For the last month of high school, instead of dreary homework and rigorous tests, I’ve had the pleasure of working at Company B. For my first project as an intern I chose two brands to investigate on social media. I began by trying to find the brands that were most popular among my friends on Facebook. As I narrowed down my choices, I realized that similar brands had discordant numbers. One hundred and fourteen of my friends had liked YouTube, but only a measly 16 had liked Netflix. This sparked my curiosity. If my friends constitute the goal demographic, what are companies doing to appeal to a certain audience? And does success among my friends signify actual success? I focused on two of the most popular brands: Forever 21 and Starbucks. The Forever 21 Facebook page is a mash-up of trendy products, interactive experiences, and links to their blog, Instagram, and Twitter. It clearly works, because 95 of my friends had liked it, attracted to the bright photos, hashtags, and snappy captions. One fascinating image says, in hot pink writing, “Stay positive and good things will happen. Chill.” The karmic spirt, hip model, and use of teenage slang (“Chill.”) epitomizes Forever 21‘s philosophies. It embraces the carefree spirit of casually stylish girls, while remaining on-trend with both fashion and colloquialisms. Forever 21 posts small photo albums, collections of 20-odd pieces along a certain theme, so as not to overwhelm. They also post pictures of one model wearing similar outfits. This strategy inspires followers to imagine themselves in the model’s place, and suggests versatility. In addition, followers are invited to events, such as music festivals, and offered style tips as a reward for their virtual support. Facebook also serves as a link between the customer and Forever 21’s website and blog. The website sells Forever 21’s stock, organized by price, type, and color, while the blog offers links to contests, Instagram challenges, makeup tutorials, beauty products, and fashion music videos. Because the brand content connects to all different types of social media, and because Forever 21 incorporates videos, makeup and contests into their publicity, the company can reach more members of its target demographic. 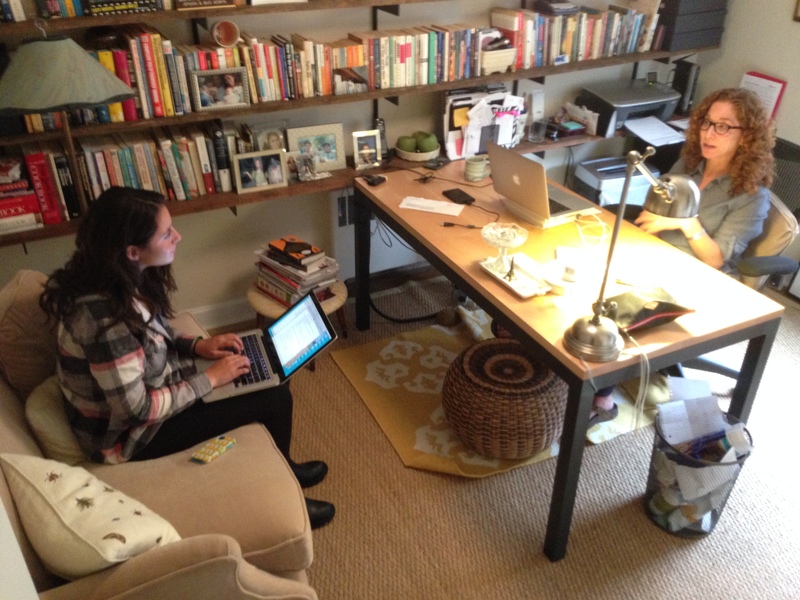 Becca interviewed Bonnie during her internship. So what sets the brand apart? One of Forever 21’s largest competitors only received likes from 16 of my friends. This brand’s collections and pictures have weaker captions and boring beige backgrounds. The pictures look like advertisements in a catalogue, instead of candids of fashionable young women. This could be deliberate; as the competitor is an international company, and thus its online media may pack more of a punch if it translates seamlessly into the style and culture of diverse markets. And indeed, it has a higher net worth and total number of Facebook likes than Forever 21. So why is this generally successful company so ineffective at getting likes from the demographic of my friends? I think that the conventional tone of their posts, though it may appeal to a large market, lacks the spark that attracts teenage shoppers. But there’s no reason to shut down large portions of their market by advertising exclusively to teenage girls. Also, Forever 21’s blog is also more image-oriented, while a competing website provides written content, including articles, “celebrity look” profiles, and recommendations for wearing their apparel. Yet in the age of memes, Emoji, and Instagram, many people don’t read internet content, and using one picture to send a bold message may be more effective. It’s the emphasis on neighborhood that distinguishes Starbucks. A coffee shop should be a place of togetherness, where a community gathers to refuel, catch up, and hang out. In a recurring Facebook promotion, they post black-and-white holiday-themed albums of loved ones enjoying Starbucks together, for Valentine’s Day or Mother’s Day. But their cups are never the focal point of the pictures, so they don’t look like advertisements. Instead, they look like human beings who love and care about one another, and the Starbucks is just the cherry on the sundae of their contentment. Their community outreach is further manifested in the service projects that Starbucks creates and promotes. By using their large corporation to better small communities, the brand creates a lot of goodwill, and if its project actually helps raise incomes, more people will be able to buy their coffee. Starbucks also embraces personal growth and tranquility. The Facebook page uses videos, art and short, expressive sentences to convey peace and creativity. They try to get consumers involved with sales, hashtags, and contests. For example, participants in the “White Cup Contest” drew on blank Starbucks cups, and the winner’s design will be used as a template for Starbucks’ next to-go cup. Fans of the Facebook page were asked to vote on their favorite design, and enthusiastic commenters said things like “The detail on this one is amazing!” and “Hands down, best design!” Through contests such as these, Starbucks sparks creativity and excitement among its consumers. Starbucks also posts pictures of art, and videos of coffee being prepared as though it is art, to their Facebook page, along with snappy captions and hashtags designed to target a younger audience. Compared to the bland websites and old-fashioned content of their rivals, the sleek, modern design of Starbucks’ website outshines the competition. Other brands publish nothing more complex than a picture of a frothy drink. It’s easy for a consumer to skim past a clear advertisement on the screen, but Starbucks isn’t selling a beverage, they’re selling a way of life, and it draws attention. Through this project, I learned that presence on social media isn’t enough. Brands need to reach out to their consumers in every medium, and in exciting, fresh ways. A successful brand should have a target demographic, but not one so narrow that there are barriers to entry for other potential customers. Finally, companies that have distinct philosophies are more successful than those with only a product to offer.